The Outback Gable is available as a freestanding unit or attached to the home. When you combine it with flat roof or pergola sections then the prominent pitched roof becomes the attractive central hub of your outdoor lifestyle. Available in Multispan or Clearspan designs to suit your design choices. 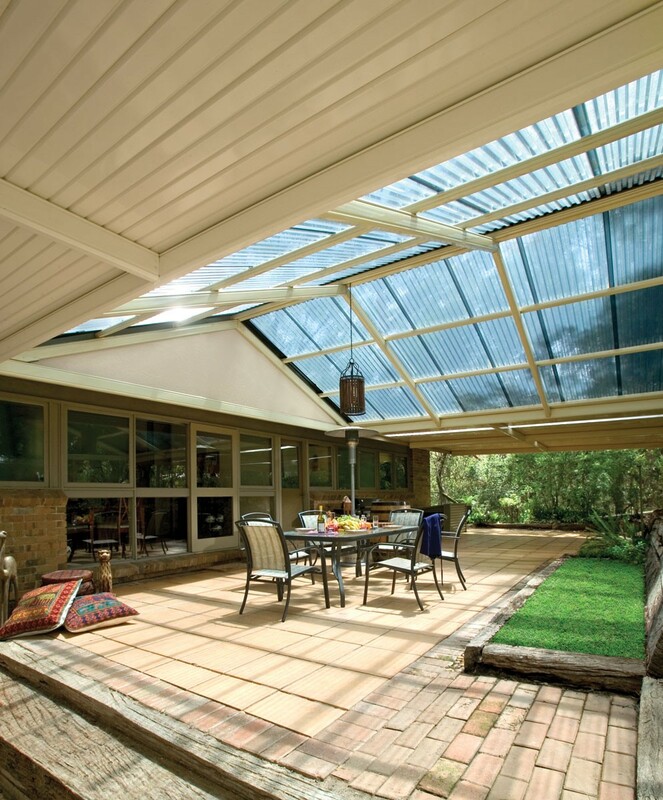 You can also enjoy natural filtered light by incorporating Outback Rooflites in the Outback Deck. 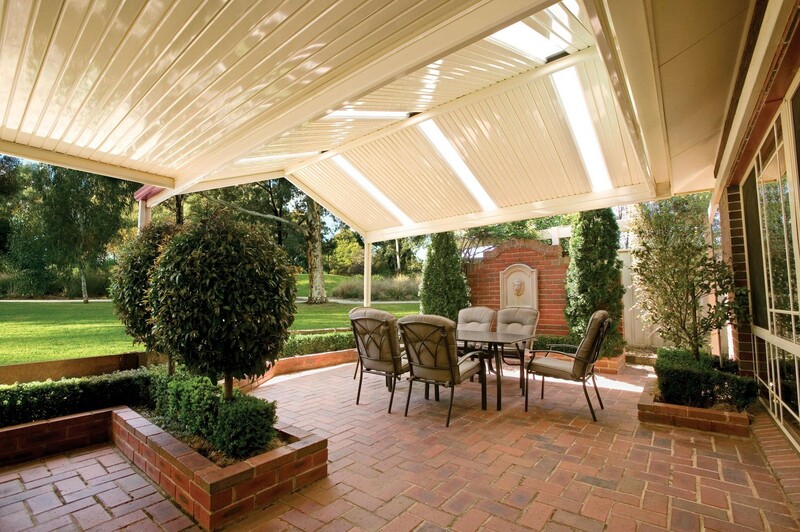 "When you combine it with flat roof or pergola sections then the prominent pitched roof becomes the attractive central hub of your outdoor lifestyle." The Outback Clearspan Gable uses the Stratco exclusive Outback Deck, a remarkably strong roofing material that does not need additional support. The Clearspan Gable can span an impressive 7.5 metres wide. So you will really enjoy your outdoor lifestyle and big family occasions under this magnificent uncluttered gable. An Outback Multispan Gable features purlins that are placed over the rafters in the roof. This supports the cladding, which can be the smooth Outback Deck, light and airy polycarbonate, or classic corrugated steel. 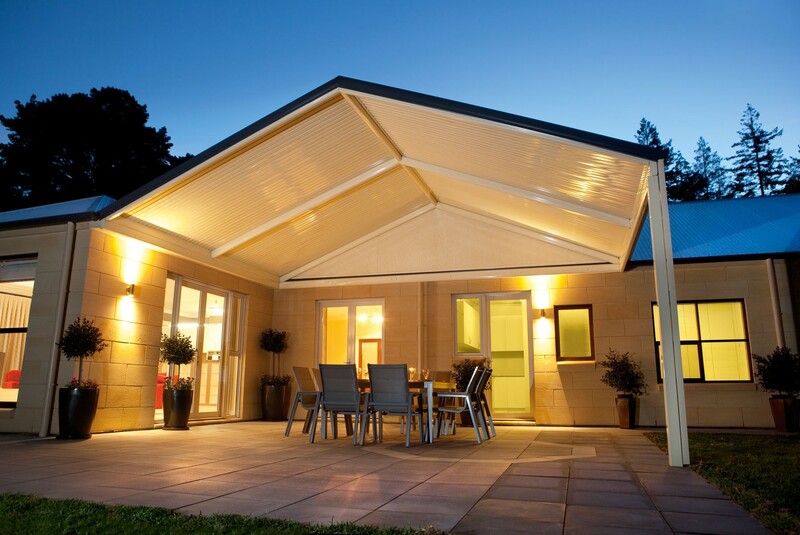 The gable roof can span up to 6.6 metres wide on a Multispan design giving you a family-friendly hub. 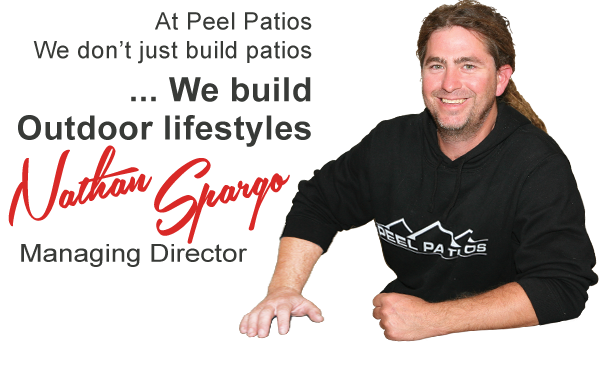 Contact Spargo Outdoor and let us show you the difference a Stratco Outback living solution can make to your home and lifestyle!